Remember last week I showed you the Christmas vignette I set up in my daughter's nursery? Well, that day I mentioned I had a fun project on the opposite side of her room. And, guess what? Today I'm going to reveal it to you. Is a drum roll too dramatic? My lil' punkin has a shadowbox hanging above her changing table. After I finished making her Christmas tree wreath, I was left with a bag of small ornaments. I placed those pretty, shiny balls in the shadowbox and guess what?? They were a perfect fit! Oh my, this was a fast project. I did absolutely nothing except insert the ornaments and close the door. No glueing or pinning or attaching was involved. They just so happen to be the exact size to fill the space. I kind of love it when things work out for me. I used my silhouette and vinyl to create the words Merry & bright (my friend Jill's idea!) and placed those words on the wall and on the glass. Once that was up, my daughter's nursery had been successfully Christmas-ed. You can read all the details of this vignette, including the wreath tutorial here. Even her pretty pink chandelier got in on the Christmas action. 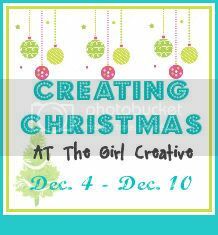 On another note, I'll be participating in Creating Christmas at The Girl Creative from today through December 10th! She'll be featuring a Christmas project every. single. day and SO WILL I! So, so, so much fun. Your kidding me! How stinkin, freakin adorably cute is that?!! Its. Perfect. I love this! I have craft envy now. wah wah. :) You rock! You have the cutest style EVER!!! Love it!!! How old is your daughter? Mine is 13 months now and my boy is almost 3. 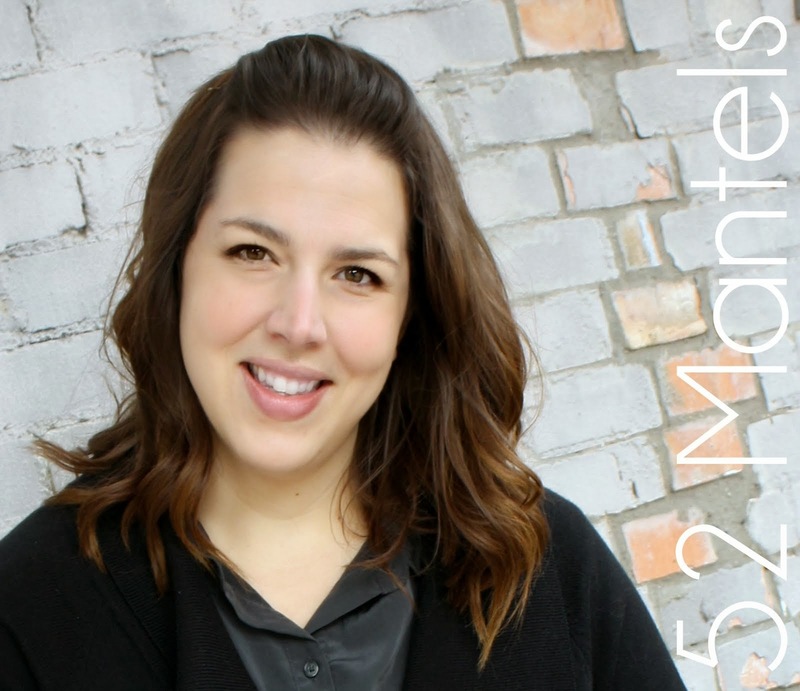 How fun it is to be a mom and make our homes look pretty! Oh my goodness! Love it! This is such an awesome idea. I love your x-mas decoration! Such a great idea! I love all the different colors - there is a shadow box in my closet just waiting to be transformed! Found you on Tip Junkie. I saw your shadowbox on Whatever Goes Wednesday @ Someday Crafts. I love it! Beautiful! Oh my gosh... love the shadow box idea!!!!! Ummm... you have got some REALLY good decor taste! And, I LOVE the ornament shadow box! Please link up to Find Your Craft Friday! We would love to have you!! I must have that shadow box!!! what a wonderful idea! I love it! It's totally brilliant and what a perfect way to decorate a nursery for Christmas. The colors are perfect. Thanks for sharing! I love this idea of the christmas ornament shadow box! Blessed baby girl to live amongst so many pretties! Anything Anthropologie is PERFECT in my world! I love your trees! I love how you decorated the nursery! So unique! Did you make the bird? It's really an eye catcher! Beautiful! I Love everything about it. I saw your feature at It's Overflowing, new follower!! Love it!That shadow box with ornaments is so pretty and fun! Love your blog you have a lot of great stuff! That is so sweet cool idea.. I also love how you decorated the room. Did you make the giant flowers? I'd love to know where you purchased your shadow box and what size it is? 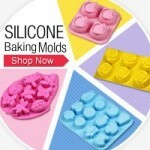 What a fantastic project, I think they will be my holiday gifts to people next year!